Easy-to-use granular powder that activates with moisture. Enhances soil growth characteristics, while minimizing seed/fertilizer loss. Reduced shipping, handling and storage costs – no TDG requirements. Slope stability and growth capacity. 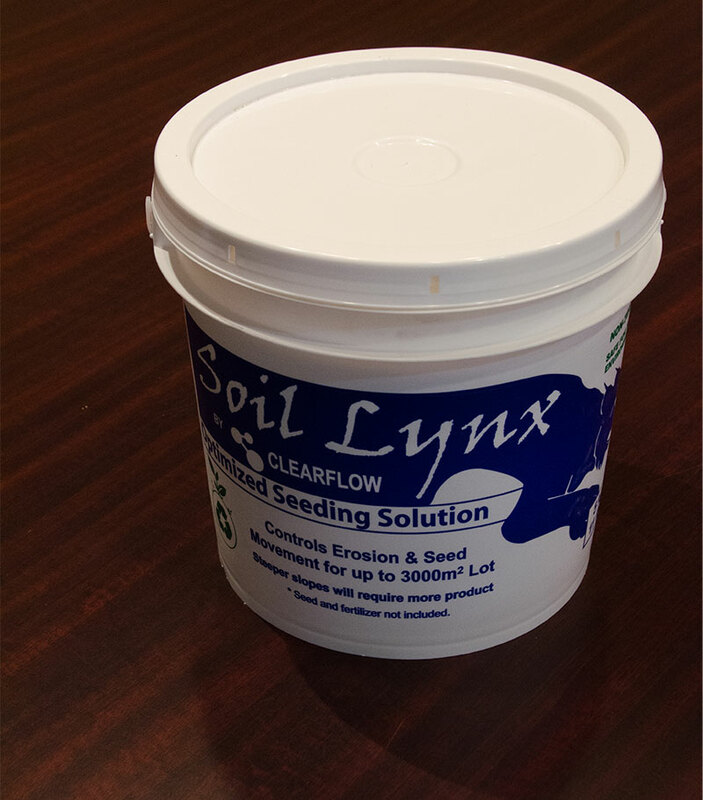 Soil Lynx are granular powders that are used for revegation and soil tackification. It holds seed and fertilizer in place during storms and heavy wind events. Thanks to Soil Lynx, the use of fertilizers can be dramatically reduced and nutrients are kept in place, making it one of the most environmentally-friendly products. Also, it retains 25% more moisture and requires far less maintenance than comparable products out there. The granular powders of ClearFlow ™ Soil Lynx activate with moisture, which creates a chemical reaction with the surrounding soil. Thanks to this bond the likelihood of dust is reduced and surface movement of sediments is heavily reduced, which helps to keep fertilizer and seeds in place. Soil Lynx can be used and applied for slopes up to 3:1. It creates a porous soil which allows sunlight, oxygen and water to easily penetrate, without ever eroding the slope. In combination with other products and techniques, Soil Lynx greatly enhances revegetation capacity on slopes steeper than 3:1 as well.